To exchange shipping data back a forth, NRG Ship Connect & AcctVantage use a watched folder. 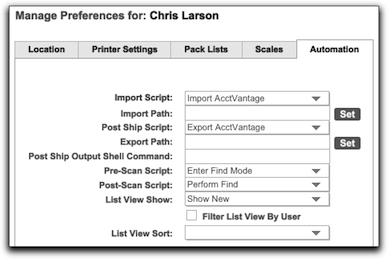 All you need to do is create folder on your network or a shipping workstation. Name the folder whatever you want. Starship Status needs to be "running"
Once the NRG and AcctVantage preferences are setup, you will be able to type in order numbers and automatically populate details in a new shipping record. After shipping, the tracking number, costs and other details will be updated in AcctVantage.